Physical Education in Primary School. Researches – Best Practices – Situation. 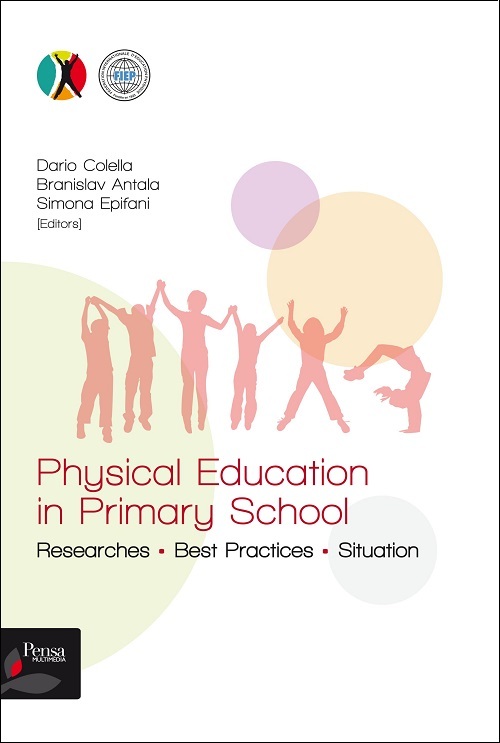 The contributions (36) contained in the volume allow us to appreciate the interesting studies/ research as well as reconstruct and compare the organizational modalities of physical education in primary schools of different countries. The authors (104) have highlighted how physical education is the key to generating and multiplying children’s learning and promoting proper habits for day-to-day life activities. The interdisciplinary approaches are obvious. Physical Education in schools is the moment when various studies are valued and diffused as examples of good practice but require political and administrative support. In fact, Physical Education is the starting educational setting, the transit route and the confluence of various measures / actions promoted by different agencies, schools, healthcare, sports, and offices that coordinate inclusion policies but require continuous coordination and monitoring. Recognition is given to all the Authors who have responded to the FIEP call and we hope that the following published contributions can facilitate the comparison of studies and experiences, providing an impulse to developing Physical Education policies in primary schools and to overcome the current difficulties that sometimes limit the contribution of motor and sports experiences in children’s educational process.